$90-$180 depending on size and whether cord needs to be replaced. Is it possible to re-skin drums from interstate? What sort of skin is used? Unsalted, untreated Australian goat hide. We stock a range of thicknesses (light, medium-light, medium, medium-heavy and heavy). Cow, deer and calf skins on request. 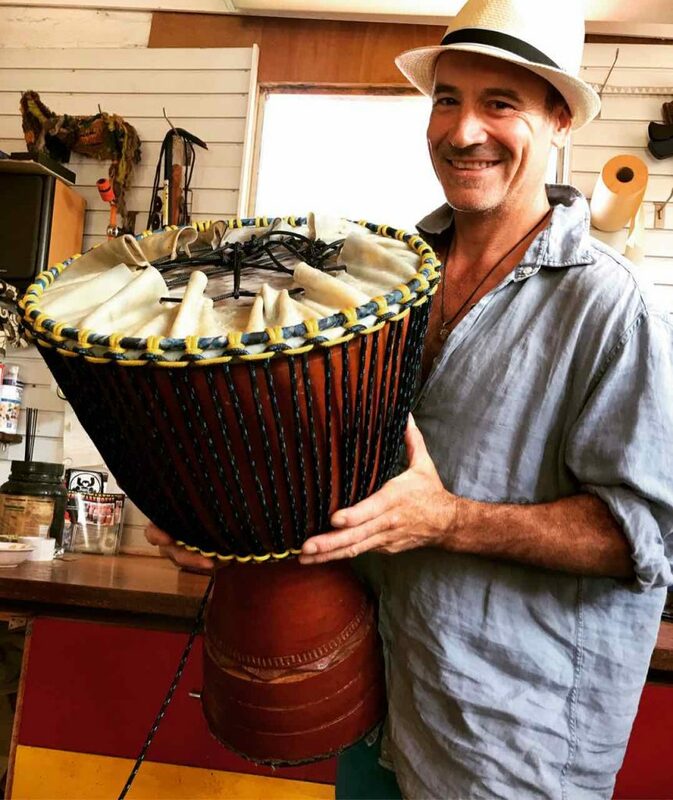 With almost twenty years of drum making experience Simon Lewis has gained a reputation for his outstanding craftsmanship. Djembes and dunduns are made with care ensuring a great sound, a great look and durability. Simon uses only quality selected hides and top grade cords. 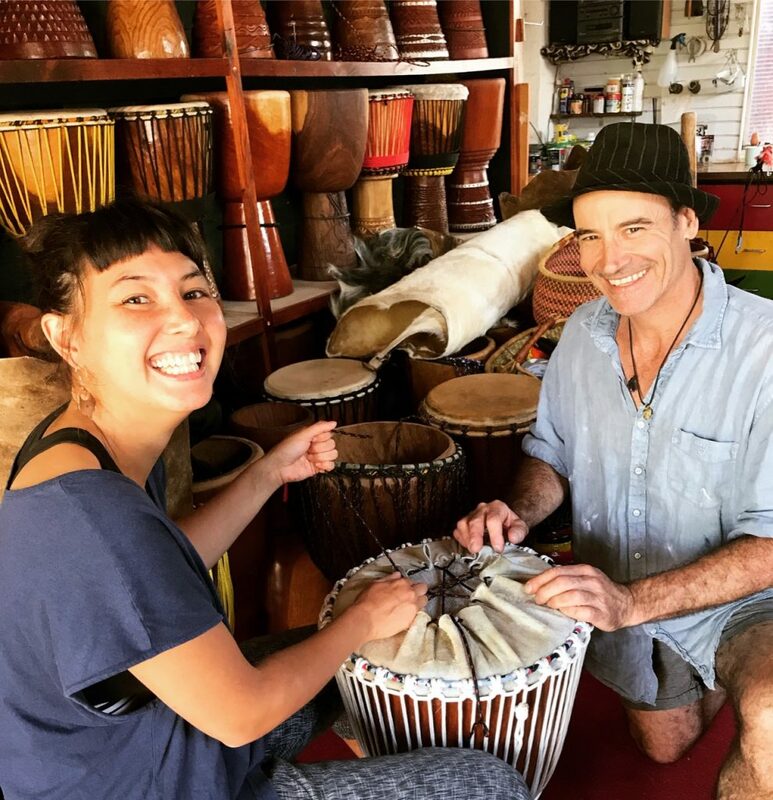 Simon has worked alongside master drum makers in Mali and Guinea but much of his expertise derives from first hand experience. 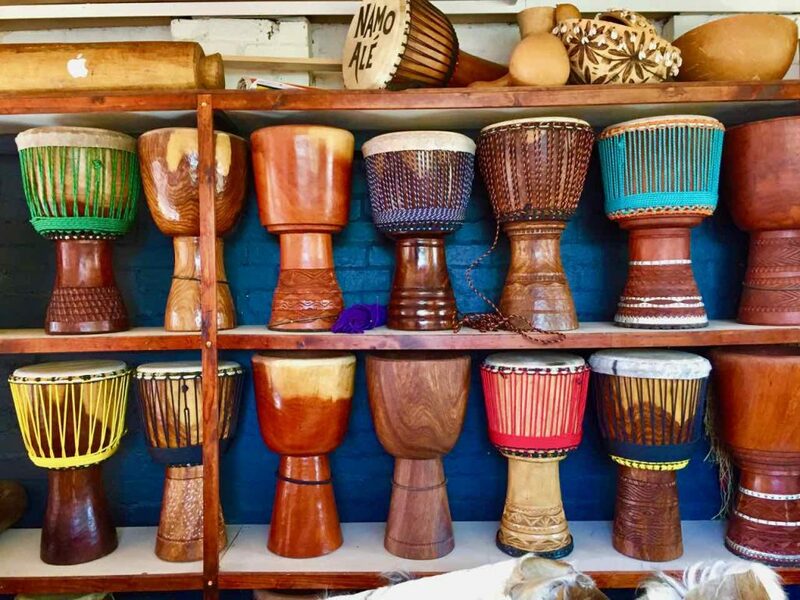 He repairs djembes, dunduns, congas, bongos and frame drums. 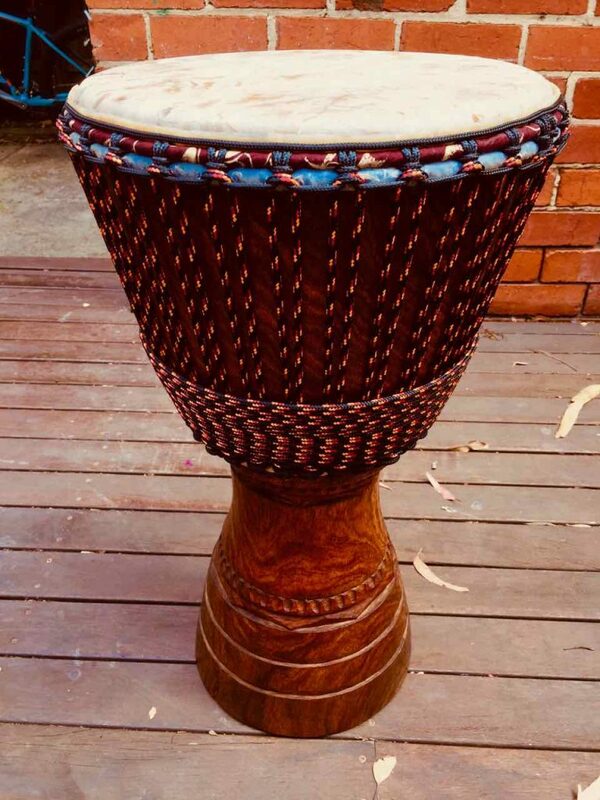 We supply a large range of hand picked djembe and dundun drums from Guinea, Mali, Burkina Faso, Ivory coast and Ghana. 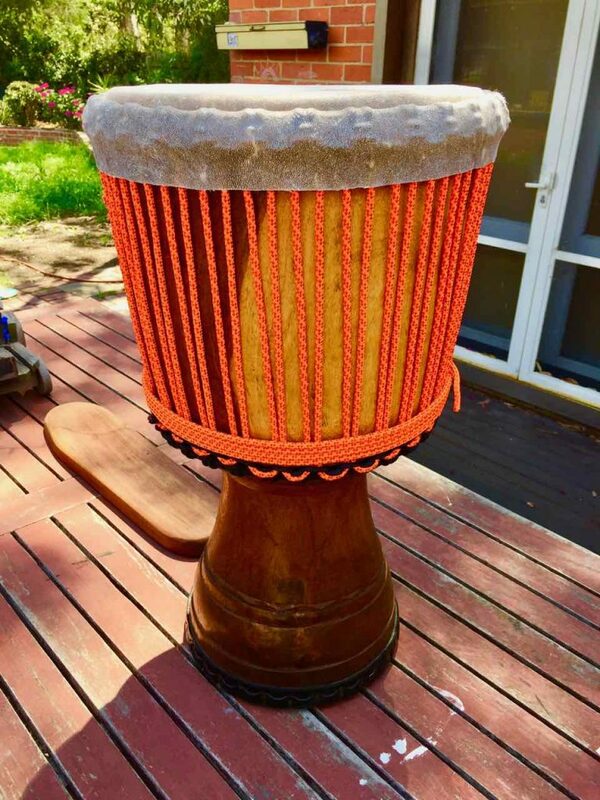 Lightwood drums are usually cheaper and produce a bright responsive sound. Melina timber is most common timber used. Hardwood drums come in a variety of timbers including Linge, Hare, Akajou, Red Wood and Iroko. These timbers produce a more complex timbre and usually weigh more. 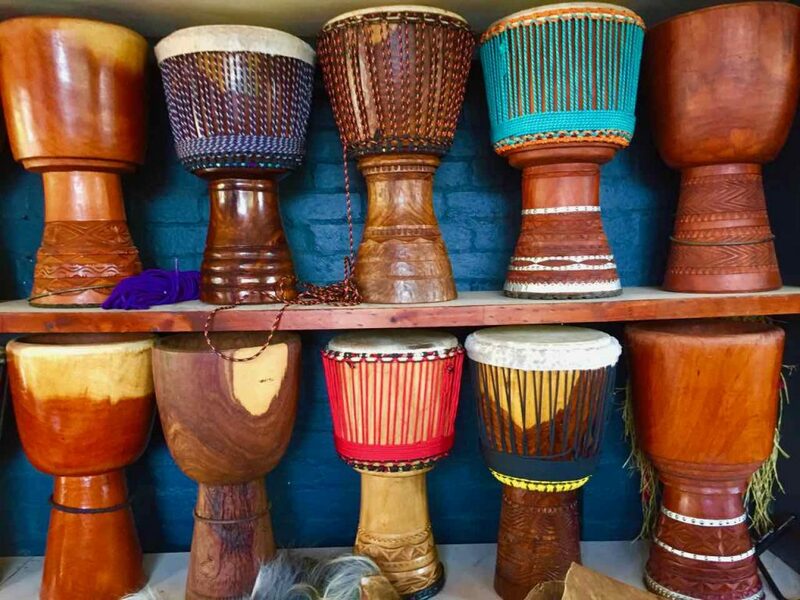 The shape and design of drums can vary from each region/ country. 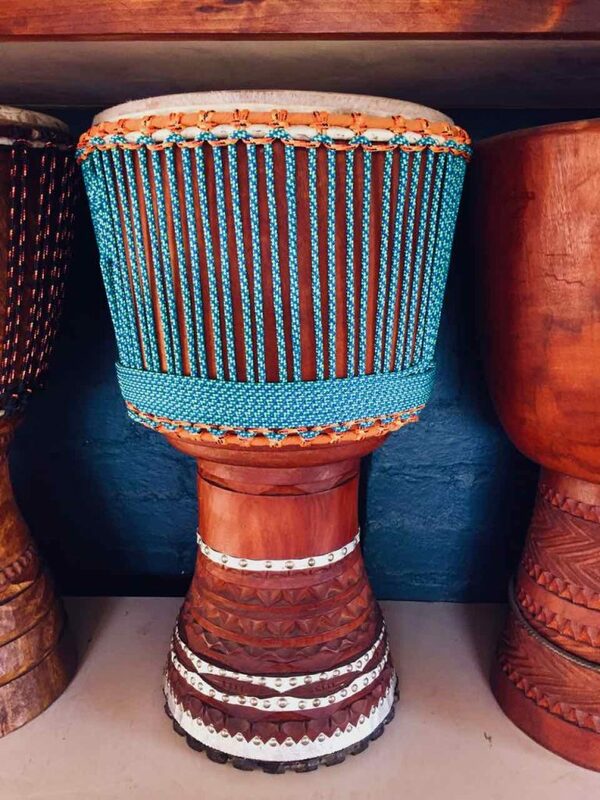 All drums are hand carved by experienced crafters and are made from one solid piece of timber. There are various sizes: small 9-10″ diameter. Medium 11-12″. Large 13-15″. 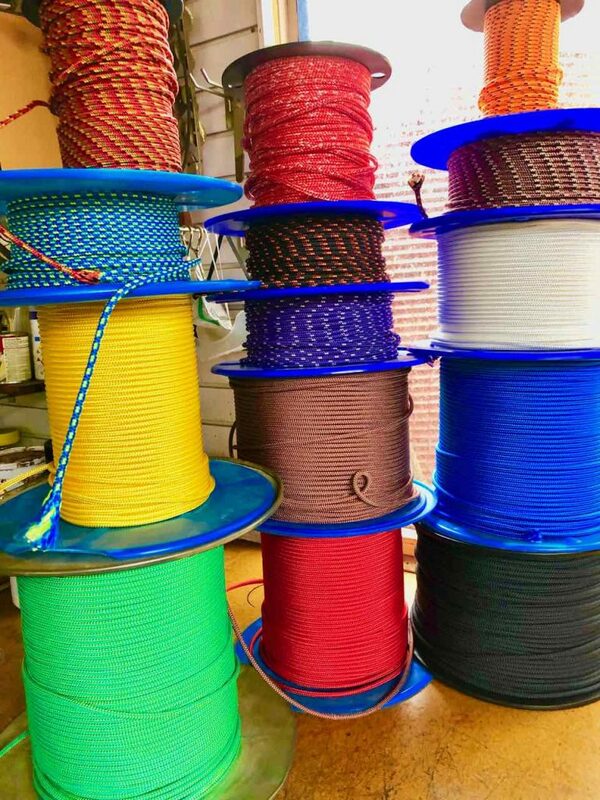 We use marine grade polysester cord (nylon core) that is virtually unbreakable! We use a range of colours , many of which are designed by us. We mostly use 4mm and 5mm thicknesses. Talk to us about the type of sound, weight and look that you prefer. Our craftsmanship is guaranteed for life and we are always happy to answer any questions or tune your drum after purchase. 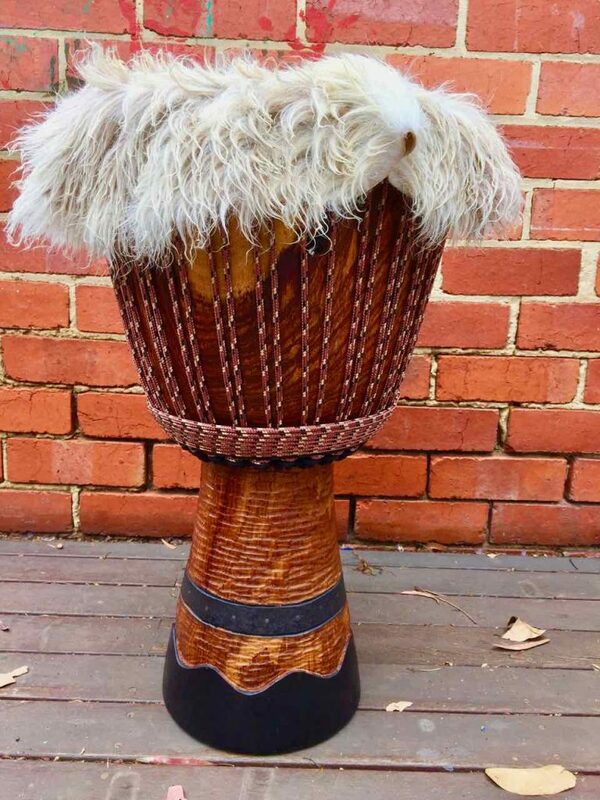 We can also offer advice about the most suitable djembe for you (budget and experience level).